Increasingly customers expect to be engaged in relevant ways across platforms. In recent years organizations who synchronize engagement across platforms successfully win business from competitors that don’t. 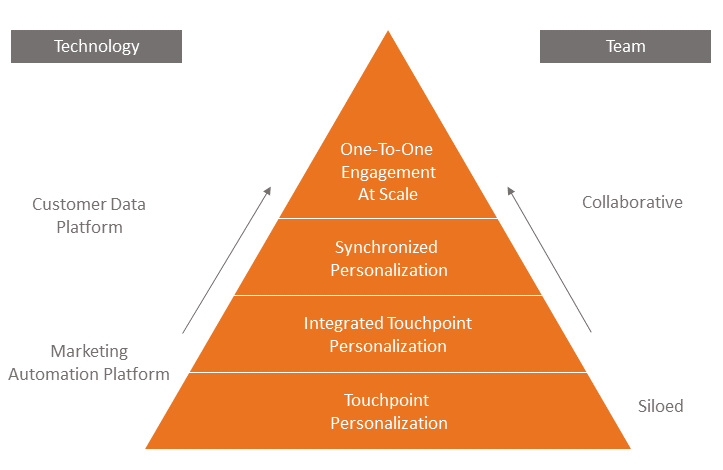 The majority of organizations offer some form of personalization on one or more touchpoints. It may be as simple as a retargeting campaign to site visitors or a personalized e-mail campaign. Also DMP’s enable personalized digital advertising across matched devices (desktop and mobile). These firms must contemplate both the benefits of synchronized customer engagement as well as the consequences of continuing with the same approach. If you are interested in offering personalization across your customers’ journeys you have different paths that you can take. WHICH PLATFORMS DO YOU NEED TO SYNCHRONIZE? If your organization is committed to aligning closer with your customers you will have to develop an implementation plan that will include people, process and technology. Ultimately you will likely need a customer data platform (CDP) to deliver one-to-one marketing at scale. 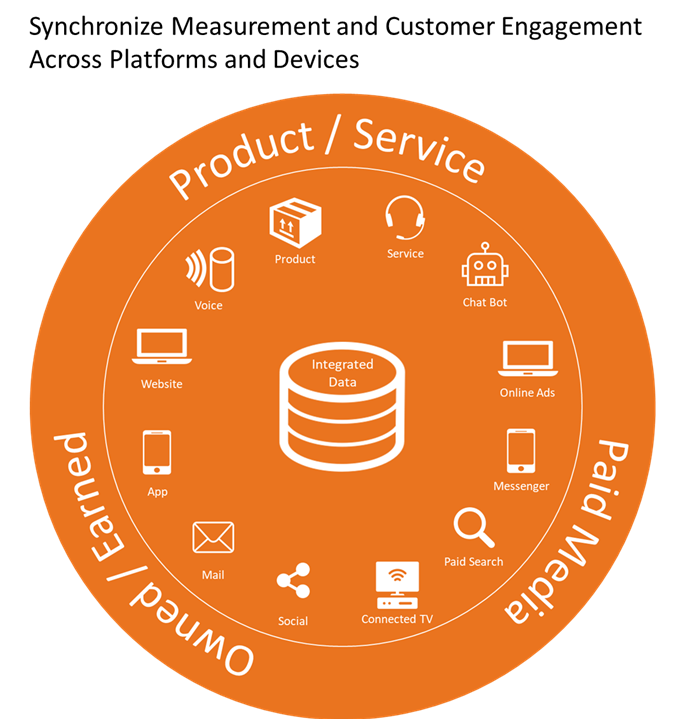 These platforms will help build out and enhance first-party data and enable you to orchestrate synchronized customer experiences. But even with a CDP you will need to deploy the right strategies. Refined Path can help you with this. Many companies have invested in marketing automation platforms. These software solutions to enable organizations to automate repetitive marketing tasks such as emails, social media, and other website actions. The technology of marketing automation makes these tasks easier. These platforms offer significant personalization capabilities but we find that many firms only use a small fraction of the capabilities. The most common reasons are lack of expertise, time and budget. As technology advances it is becoming even more critical that companies develop plans that include the right technology as well as the resources to execute to meet goals. Also make sure that you are aware of features that take little effort but make a big impact. A Data Management Platform (DMP) enables you to make your advertising more efficient, reaching the right people at the right time. You can easily keep track of all of your customer segments, and reach them across all of their devices. You can augment your data with second and third party data; target by attribute and scale with ‘Look-A-Like’ modeling. DMP’s offer cross-device matching to link desktop and mobile. An important distinction is that these platforms use anonymous, cookie data for targeting your audience and serving personalized messages. A Customer Data Platform (CDP) combines all of your data including CRM data and cookie data to enable you to create a single customer view. They also enable you to offer synchronized personalization across all touchpoints along your customers journey. They enable customer signals to be shared across all platforms AND personalize engagement in real-time (or near real-time). As with other platforms it is not enough to simply buy the technology. You need to have a budget the time and resources to deliver great results.